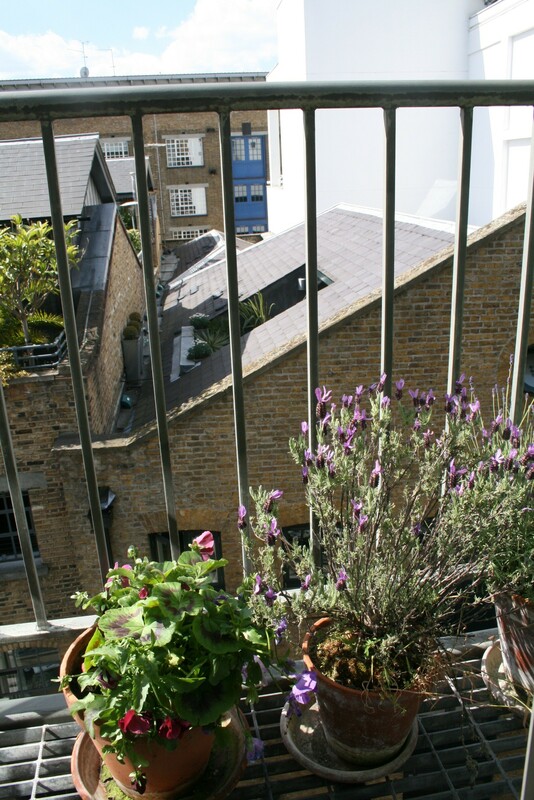 Clerkenwell Design Week came and went with the clement weather. This year’s CDW was a merry hotchpotch of old buildings, contemporary and commercial art amid fickle shafts of sunlight and stroppy storm clouds. The venues themselves reminded us how much as we might admire the individual pieces, none of these objects account for much until they’re in context, cohabiting in this space. None of this was designed to go together and the random coupling was strangely pleasing. It’s all change for summer in the windows of our offices here in Shad Thames. 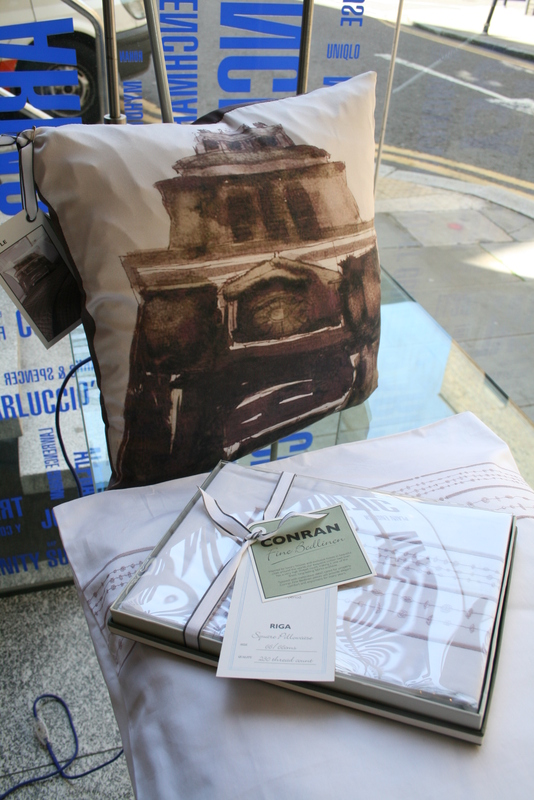 We are still keeping one of our wonderful Conran iPod docks to add a bit of ambience to our reception space but have installed some of our gorgeous new Conran branded bedlinen designs interspersed with fresh herbs (from Terence’s garden) that are well known to help you slumber sweetly. Bed by Conran is our design-led range of prints, weaves, appliqués and embroideries and Conran Fine Linen is our high thread-count, classically tailored, premium range inspired by exquisite hotels in beautiful places around the world. 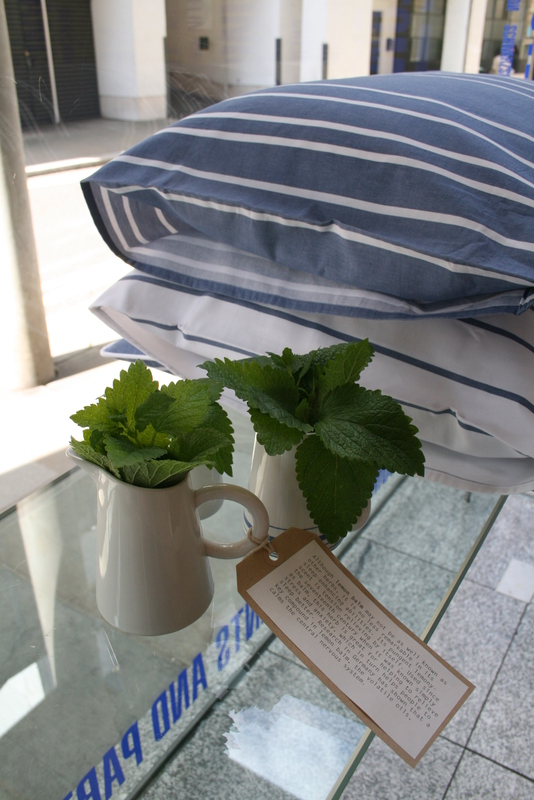 The lovely fresh lemon balm has come straight from Terence’s house in the country – delivered just this morning! Although not as well known as other herbs, give the leaves a rub and feel the pungent lemony-scent start helping to relieve tension. Used since the seventeenth century this herb is great for helping to relieve stress and anxiety, which in turn helps people to sleep better! In the background is ‘Berwick’ from Bed by Conran inspired by vintage flags and fabrics from Berwick Street in London. 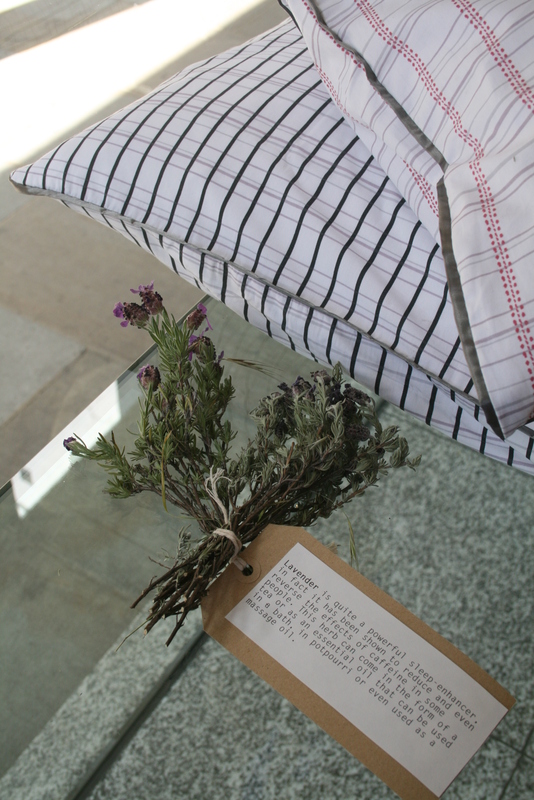 The Lavender (shown here next to our delicate ‘Broadway‘ design) has been lovingly grown in generous terracotta pots on the balconies on the top floors of our building – this gorgeous Spanish variety is the first to flower this summer and is a well-known aid to restful sleep. 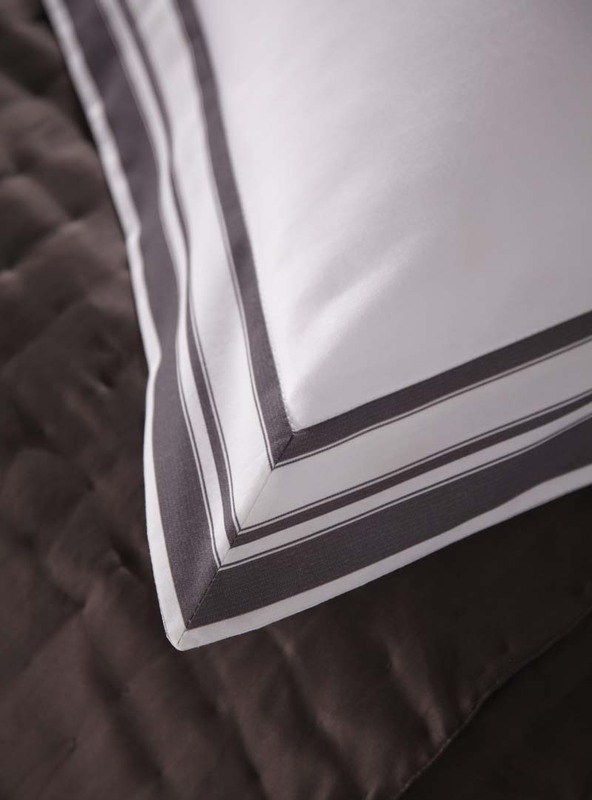 Here’s a close up of ‘Palermo’ – our gorgeous new fine bedlinen with woven charcoal grey border. 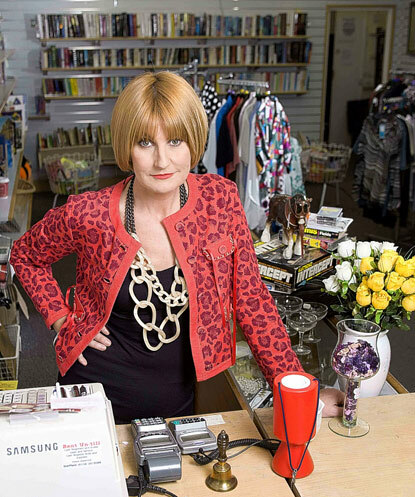 Read more about the new designs here..
Last year Conran & Partners helped transform ‘Save the Children’ shops up and down the country as part of the BBC TV series ‘Mary Queen of Charity Shops’ presented by Mary Portas. Interior Design Director Jane Lawrence headed up the project – bringing bold, bright colour into the stores. We’ve just found this great clip recently posted online which shows Jane presenting the concepts to the shops staff – it’s definitely worth a watch! Another of our semi-regular columns today – and back on the designs we love…and those we loathe. 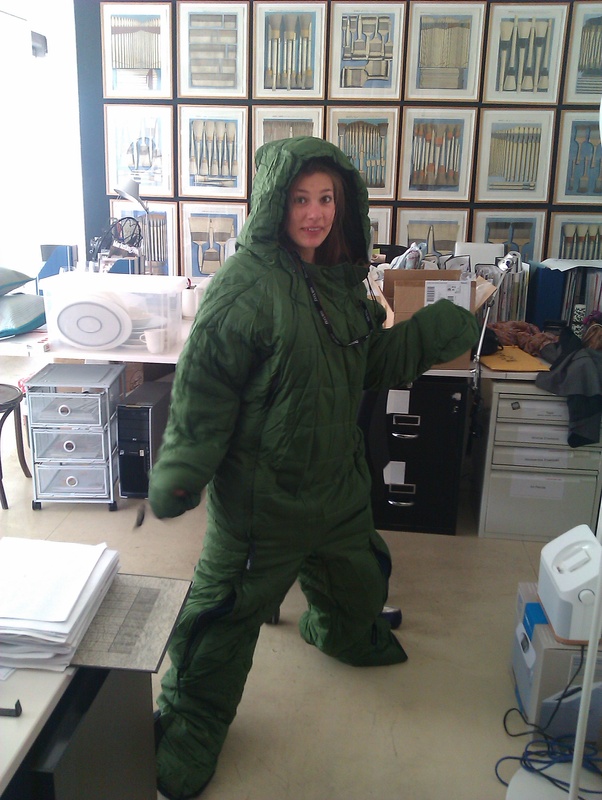 However, on the positive side of things – causing a riot in the office is the Lippi Selk Suitshe’s just had delivered to the office. This ‘sleeping bag in the shape of a man’ is practical yet intrinsically amusing. 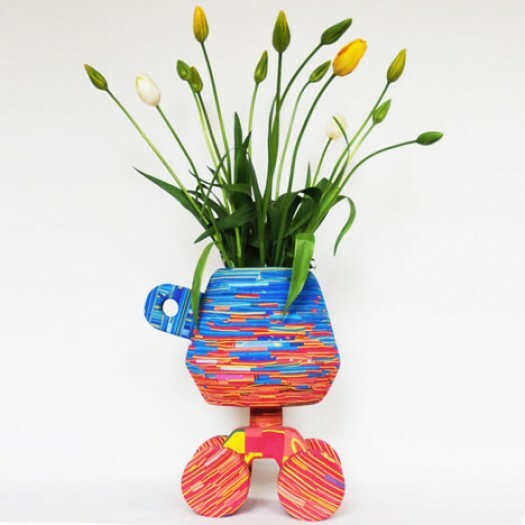 We are not sure if Terence’s dictum of ‘Good Design should make you smile’ might be pushing it a bit for serious inclusion, but it’s worth drawing the parallel! “Seriously though, it’s light and really, really warm. 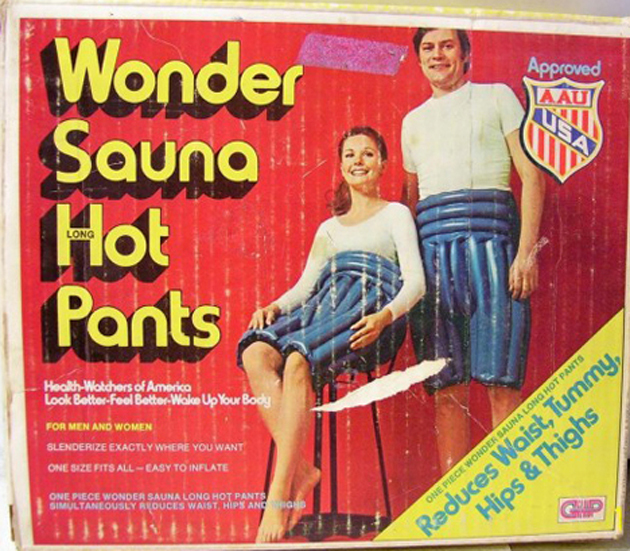 Plus there are flaps so you won’t overheat!” Good to know. Here she is modelling the small/medium version. After a rather jokey entry from this talented young lady we felt obliged to dig a little deeper into her more serious passions and inspirations so we got her to write a post about her most inspirational places in London – keep an eye out for it next week. Right now she’s about to catch a plane to India with Brand Development Director Jill Webb, to have a look at the latest developments on some of our textiles for the Conran/M&S project – she’s promised us a little report from there too so watch this space! 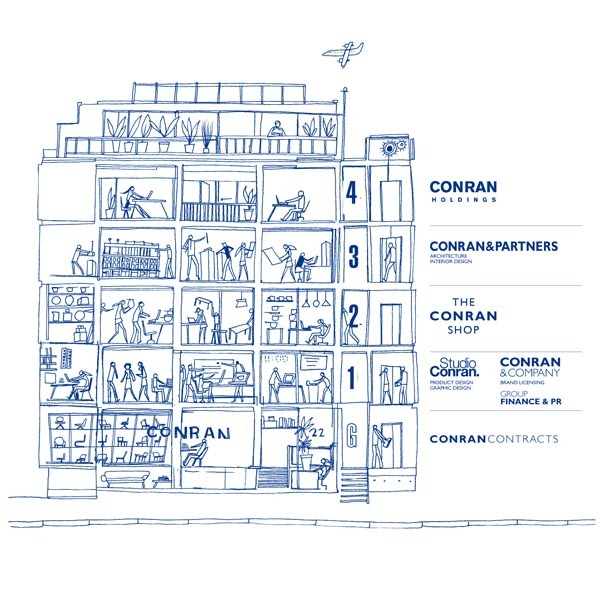 Architectural Director Azhar from Conran & Partners talks today about the inspirational work of a great hero of his: Sir Ken Adam, Film Production Designer and Art Director. Recently one of my dreams came true! 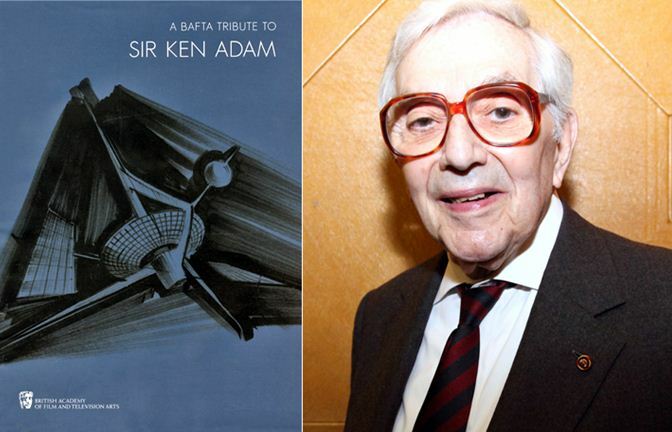 I attended the BAFTA tribute and the 90th birthday celebration for Sir Ken Adam, arguably the most important and influential production designers in modern times! 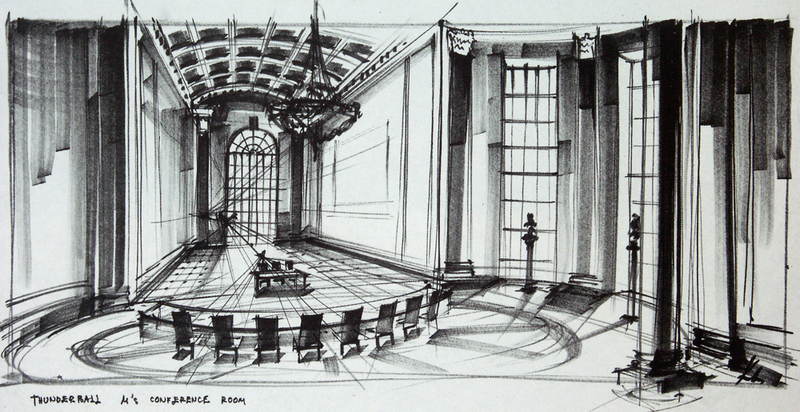 Sir Christopher Frayling talked about Sir Ken’s immense influence, and particularly his book ‘Ken Adam, The Art of Production Design’. 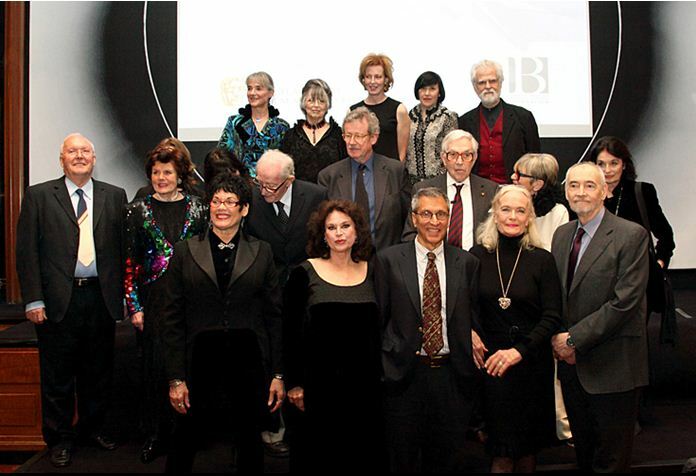 The speeches were very moving, with personal accounts from, Jim Clay (Children of Men) on Dr Strangelove, Nathan Crowley (The Dark Knight) on Barry Lyndon, Martin Childs (Shakespeare in Love) on The Ipcress File, Eve Stewart (The King’s Speech) on Goldfinger; Actors and Art Curators alike spoke warmly of their encounters with the charming Sir Ken. 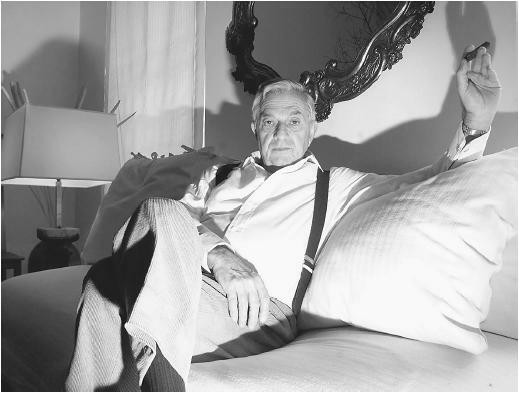 Sir Ken Adam was born in Berlin in 1921 and moved with his family to London in 1934 where during the war he was one of only two Germans to fly with the RAF. 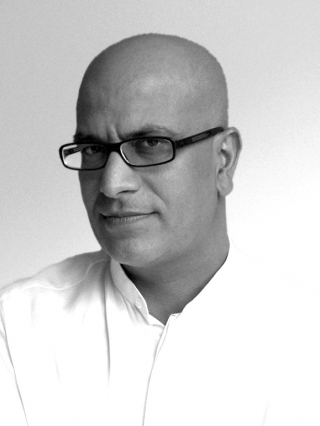 Following his time in active service he trained as an architect at the Bartlett, University College London. 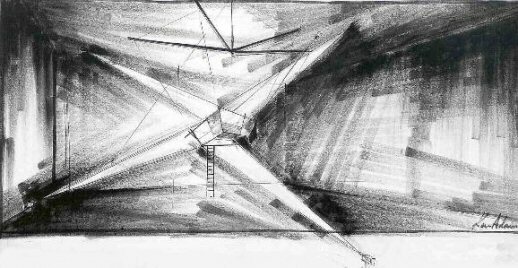 However, it was in 1948 that Sir Ken started his foray into the film industry as a draughtsman. 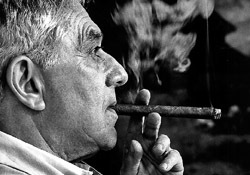 I thought I would talk about a few of his pieces that have inspired and influenced me over the years. 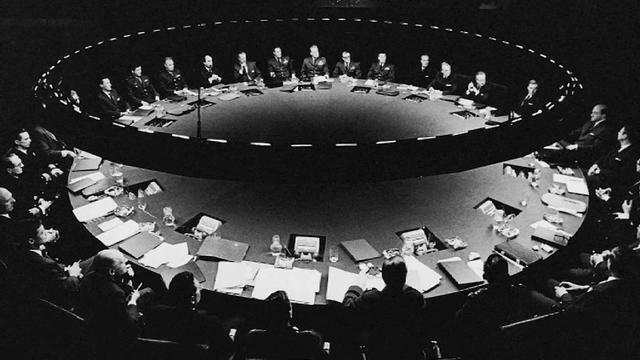 The ‘War Room’ is probably one of the most amazing sets ever made and almost defines the ‘cold-war’ idea of power. 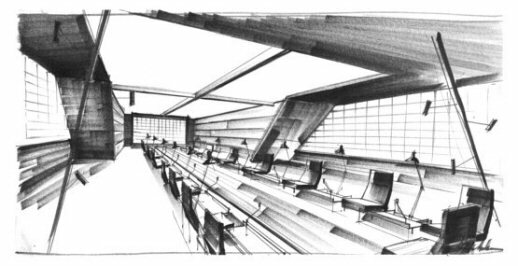 Famously, when Ronald Reagan first came to power and asked to be shown the war room, he was immensely disappointed when he was taken to a bland conference room. Rumour has it that he had his war room re-designed to provide a suitable environment for making critical decisions! 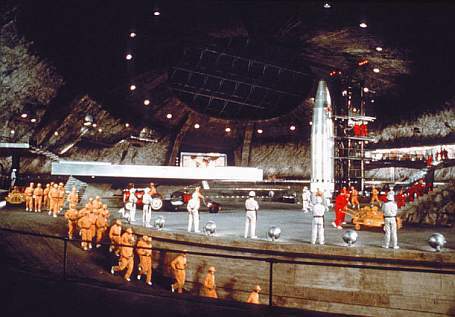 Fort Knox in Thunderball: Again one can imagine the real Fort Knox gold room can only be disappointing in comparison…. 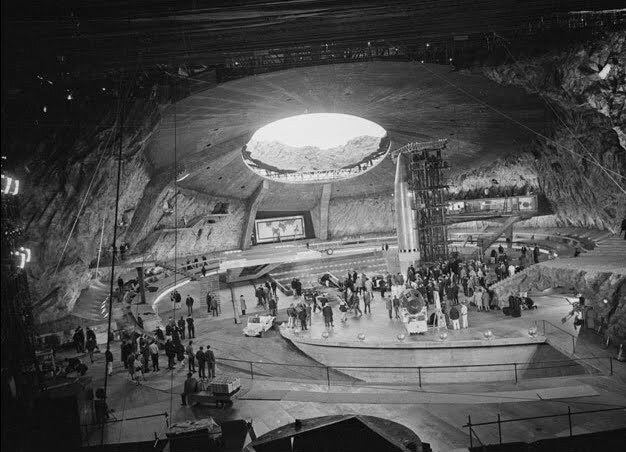 The volcano set was the biggest of its time, imaginative and incredible. Less said about Sean Connery pretending to be Japanese the better! 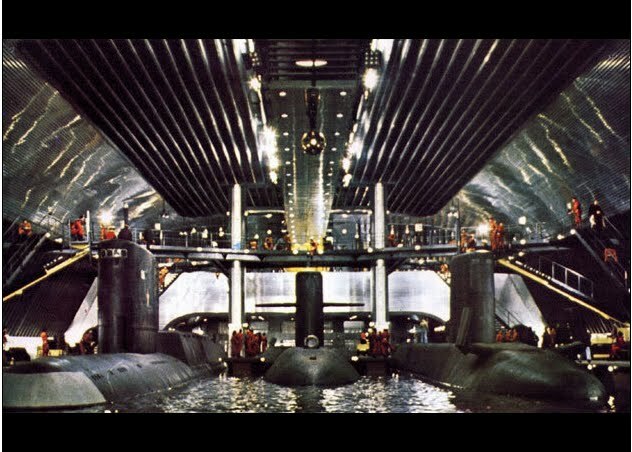 It has so many amazing sets, the most memorable of which has to be the underwater world of the villain. 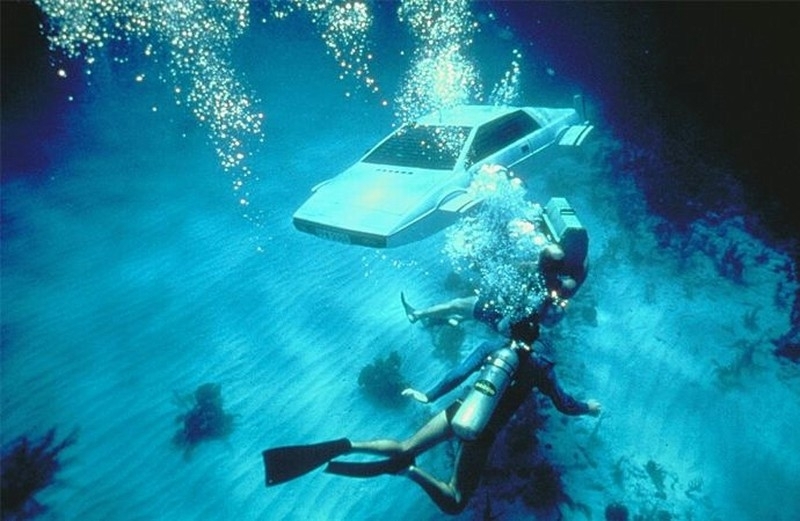 The whole film is rich with futuristic designs including the adaptation of the Lotus Esprit. I did read that Colin Chapman (the competitive founder of Lotus cars) parked a prototype of the Lotus Esprit outside the studio of Cubby Broccoli, the producer of the Bond films, and when Sir Ken saw it he decided it had to be incorporated into the film. I forgot to ask Sir Ken whether this was a true story…! 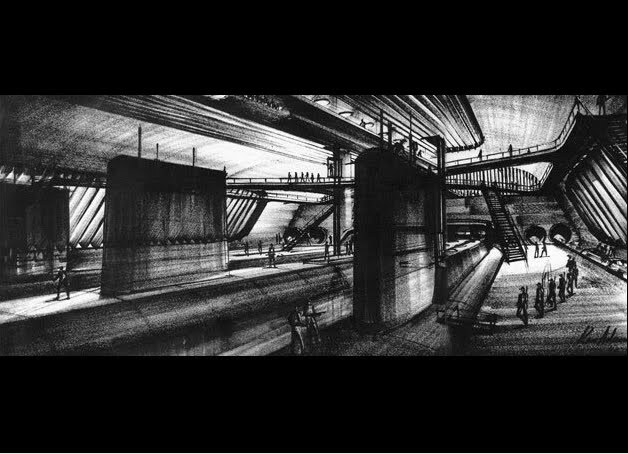 Sir Ken’s output is amazing; his influence on modern design and architecture is immeasurable. 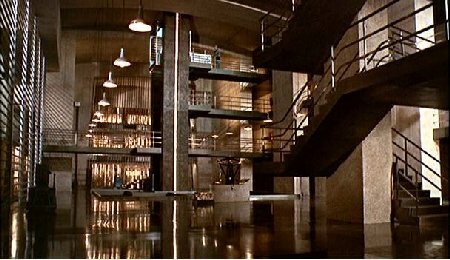 It is not uncommon to hear people say “that looks like a Bond influence” … in fact it should be “that looks like a Sir Ken Adam influence”. A couple of weeks ago we mentionned the talk our CEO Roger Mavity did on the changing face of the London skyline and the importance of keeping what is good as opposed to what is simply just old. It’s certainly got people talking. One of the most interesting comments from a member of staff here was that ‘Paris lives in The Past, New York in The Present and London in The Future’ – this came from someone who has lived in all three so we think that’s probably qualification enough for such an intriguing statement. We are loving the theme for this year’s Association of Illustrators prize: The River Thames. As riverside workers ourselves it’s always interesting to see different visual representations of the lifeblood of our capital. 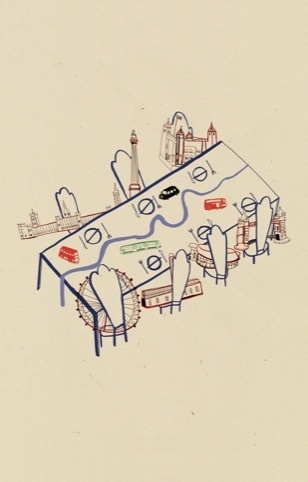 We particularly like the witty and hand-drawn piece by 3rd prize winner Liz Rowland, depicting famous London landmarks sitting down to dinner around a table. Looks like a tasty meal of London buses and black cabs! In geographical terms our building would be right there on the end between the Tower of London and Tower Bridge, although its arguable 22 Shad Thames isn’t quite in the same league of fame as the rest! 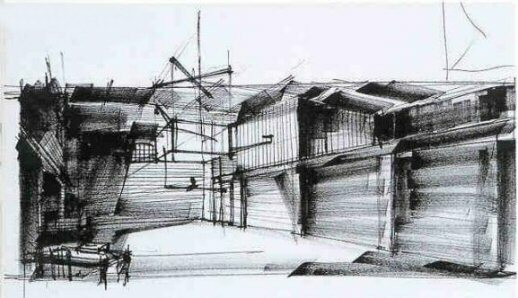 However, one of our ‘Did you know?’ facts is that our building was originally designed and built for prestigious cutlery designer David Mellor before we moved in in the 90s. You can check out the rest of the competition’s winning entries at London’s Transport Museum until the 3rd June.